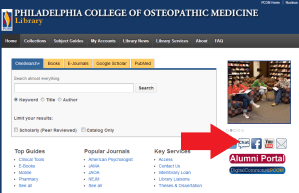 PCOM Library / Library News / Live Chat Now Available! Have a question about library resources or services? Need help finding articles or with research efforts? 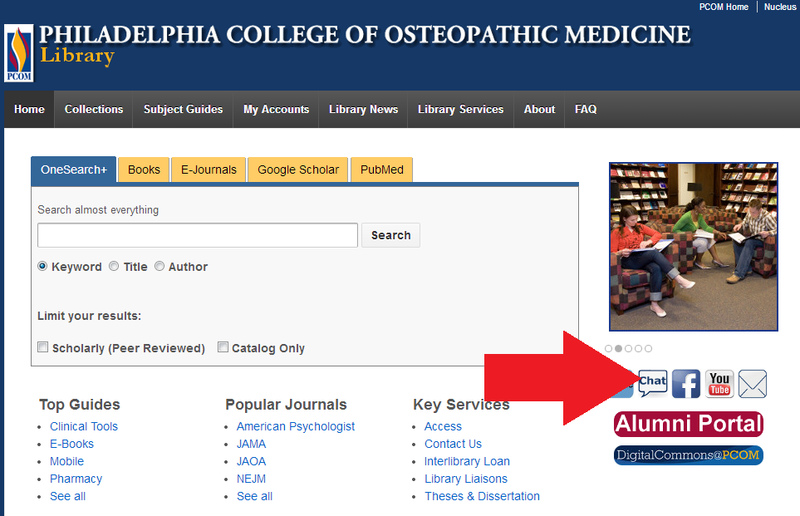 The PCOM Library now offers an Ask-a-Librarian live chat feature on our website to provide immediate help with these and other questions. You can also text messages directly to 215-987-3999. You can begin chatting from either our Contact page, LibGuides home page or directly on the Library home page (see below). When there’s no librarian available, e-mail us at library@pcom.edu or galibrary@pcom.edu and we’ll reply to your question as soon as we can. Please check it out and let us know what you think!